Yesterday I showed you how I spruced up the little cubbies at the end of my sewing/cutting table and promised a tutorial for a fat quarter bin. 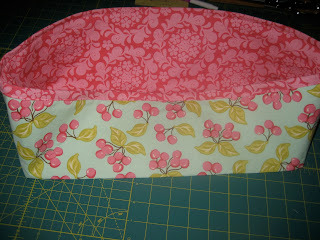 From your lining/accent fabric cut 2 rectangles of fabric 9.5" tall by the same width as your main fabric. Step 2: With right sides together sew the main fabric/interfacing together on the two side seams & bottom using 1/2" seam allowance. Step 3: Leaving fabric right sides together, align one side seam with the bottom seam (finger pressing open your seams), pin and sew a 1/2" seam, making sure to go forward & backward at each end to secure your stitches. Repeat for the other corner. Step 4: Turn bin right sides out and iron seams open. Help to make some structure to your bin by ironing a fold on each of the long bottom sides. 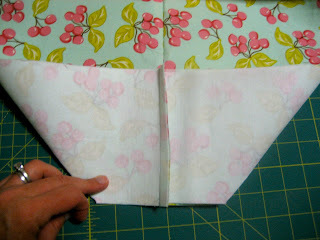 Step 5: Construct your lining in the same way. First sewing the side and bottom seams, aligning them to make each corner and pressing open all your seams. Leave your lining inside out and press the top edge over 1/2". 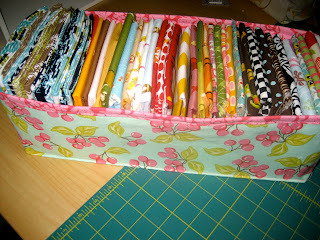 Fit it inside the bin and fold the top edge over another 1/2" and pin around. Step 6: Topstitch all the way around the top edge, I used 1/4" seam. Again, make sure to go forward & backward at the start and stop to lock in your stitches. Step 7: Now we're going to make pintucks along each of the two long bottom edges to give your bin more structure. 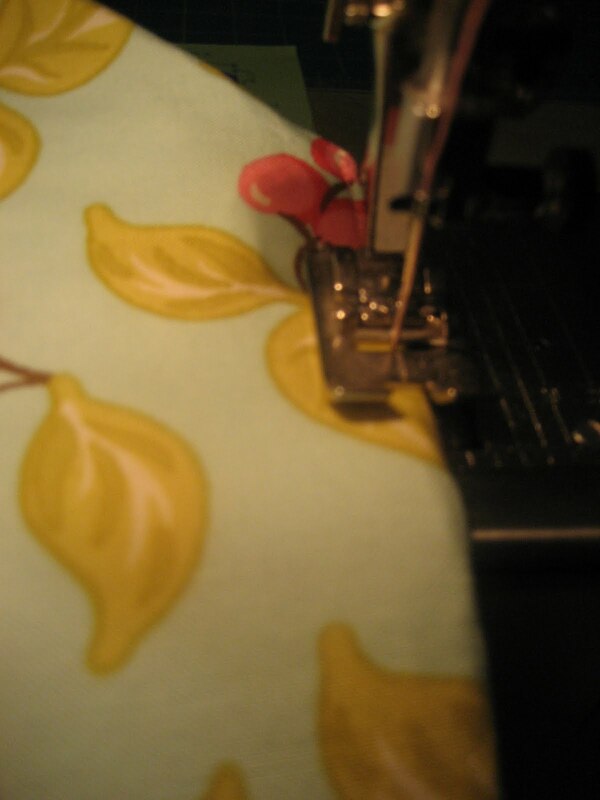 A pin tuck is really easy, you just have to get all layers (main, interfacing & lining) into the fold, press and sew it. So go ahead and press a nice line along the bottom, tucking in your lining as you go. Step 8: Now topstitch 1/4" in along the straight line, catching all layers. Repeat for the other long side. Step 9: Finished! Fill it with your fat quarters! Maybe I better make another! Totally impressed....once again...and you are sewing and organizing with all you have going on...You have the energy of four of me! !